Gather on the hotel's lawn for an array of elegant eats, beverages. 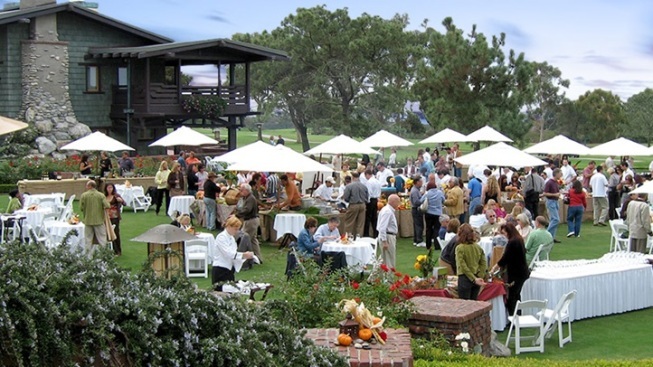 A bevy of top-level libations and eats'll dot the tables near The Lodge at Torrey Pines on Sunday, Oct. 30 as part of the 14th annual Celebrate the Craft event. CELEBRATE THE CRAFT, and it happens mere hours before the final two months of the year move to high gear, a time when every food event seemingly has a connection to the season at hand. But the La Jolla event, which is at The Lodge at Torrey Pines, spotlights excellent local chefs, thoughtful preparation, and the mission of the Slow Food Movement, a movement all food mavens might keep in mind during the hectic holidays to come. SUNDAY, OCT. 30... is the 14th outing for this culinary adventure, and, once again, the pretty, ocean-close Arroyo Terrace of the historic hotel will set the scene. Slow Food Urban San Diego is the beneficiary (a portion of the proceeds will go to the group) and attendees are the sated winners of the day, thanks to the plentiful "food tastings, wine, craft beer, and complimentary valet parking." A ticket to the daytime to-do? It's $135, and tax and tip are included. If you want to stay over at The Lodge at Torrey Pines, there's a package kicking off at $449. The holidays, and all of those over-the-top eating opportunities, are just ahead, so ponder pausing for a moment for a Slow Food moment, one that spotlights not the bigness of eating but rather the curated localness of the pursuit.